Photoscape is an amazing free photo editor. It includes so many filters, tools and special effects you'll find it hard to believe it's actually free. 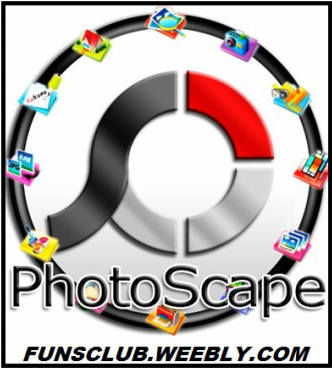 Photoscape includes just about everything you need to view, optimize, edit, print and have fun with your photos. In fact, it's so complete that many would call it a free Photoshop alternative. Sure, it's not quite up to the level of Photoshop, but it's truly a great alternative to Adobe's big shot - and it makes photo editing a lot more fun! One of the first striking elements in Photoscape is its uncommon interface design. From the program's main window you can choose what you want to do: view pictures, optimize those that didn't come out so well, print several photos on a single page collage-style or perhaps add any of the dozens of filters and special effects included in the program. Other extra tools featured in Photoscape are a file renamer, a color picker, a screen capture tool and even a RAW converter. There's really nothing negative to say about Photoscape. Just download it, test it, love it and keep it forever. It's free! Changed Editor -> Region tab name from 'Region' to 'Tools'. Added 'Print Button' to Viewer and Editor. Added 59 travel icons, 7 face icons and 6 makeup icons. At combine, the first photo's EXIF information would be saved. Run 'Raw Converter' automatically when you drag & drop at the Photoscape welcome screen. Support Windows Vista, Windows 7.